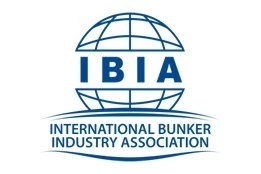 The International Bunker Industry Industry Association (IBIA) has issued a comment and pointers regarding ongoing bunker quality problems in the US Gulf Coast (USGC) area. As widely discussed on Ship & Bunker, in recent weeks bunker fuel lifted in the region - particularly Houston - has been found to contain contaminants causing clogging of filters and in more extreme cases engine damage, in particular fuel pump seizures. Commenting on the problems, IBIA said: "As an industry association we are obliged to address the concerns of our ship owner members. In this instance, a useful question to address for ship owners would be “What should I do to ensure that this doesn’t happen to me?" "It is difficult to answer this precisely when it hasn’t yet been universally agreed what 'this' is." If you have recently bunkered in the Houston area or Panama, it is strongly recommended to get a solid overview of the quality of the fuel prior to using it. If you do use it without going beyond routine ISO 8217 quality tests, pay close attention to fuel oil system components, in particular fuel pumps and filters. Consult technical managers/chief engineers within your own company and/or from other technical service providers, including your bunker supplier(s). IBIA also notes its recently released "Best practice guidance for suppliers for assuring the quality of bunkers delivered to ships." "We believe that by following the recommendation in in Chapter 4, in particular 4.2 – Quality control during production of bunkers and 4.3 – Quality control in the supply chain, would improve control of the blend components used and help to prevent such cases," IBIA says.